The Apple Operating System (OS-X) is based on the Unix operating system. As such, all communications between software applications can be intercepted and processed further. The application Audio Hijack Pro was written to do exactly this for audio information. 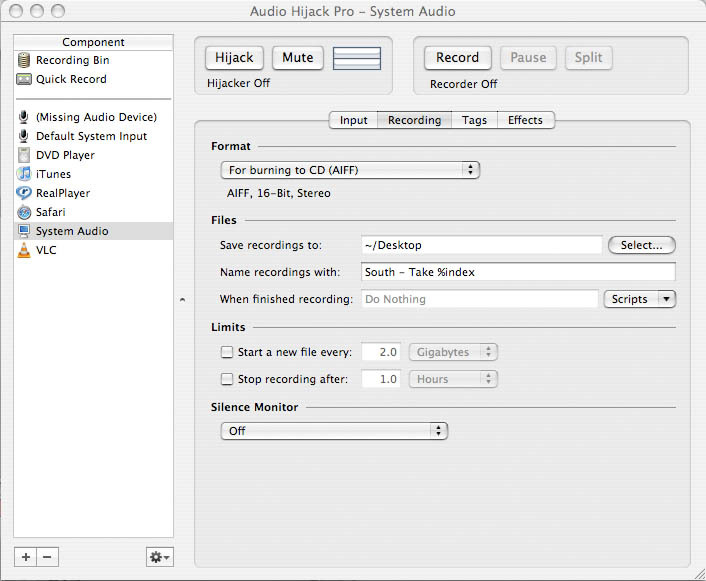 Audio Hijack Pro allows the user to intercept any audio information on the computer. Furthermore, this information can be processed further (e.g. you could add reverb to a sound file before hearing it through the headphones.) Finally the information can be saved to the hard disk as a file in various formats.